Dr. Maria Meletiou-Mavrotheris is a Professor at the European University Cyprus (EUC) and Director of the Research Laboratory in ICT-Enhanced Education. She has a Ph.D. in Mathematics Education (University of Texas at Austin), an M.Sc. in Statistics (University of Texas at Austin), an M.Sc. in Engineering (University of Texas at Austin), an M.A. in Open and Distance Learning (UK Open University), a B. A. in Mathematics (University of Texas at Austin), and Teacher’s Diploma in Elementary Education (Pedagogical Academy of Cyprus). She has established a respected research record through several publications in scholarly international journals, and has managed to obtain considerable funding in support of her research. Indicative EU-funded programs in which she has participated in the capacity of coordinator or research collaborator, include H2020, Erasmus+, LLP-Grundtvig, Socrates Minerva and Comenius, Leonardo da Vinci, and Eureka. All of these multinational programs focus on technology-enabled education, specifically on the use of innovative technologies in teaching and learning at the school and higher education level, and in vocational training. Dr. Dimopoulos is currently employed as an Associate Professor of Computer Science & Engineering in European University Cyprus. His research interests include the analysis, design and the implementation of educational IT tools. He participated as a system analysis and design expert in the Eureka E!3118 program which concerned the development of educational tools for human welders. He is currently participating as a system analysis and design expert in a Cyprus Research Promotion Foundation project which concerns the development of on-line medical files for pediatrists. Dr. Katerina Mavrou is an Assistant Professor in Inclusive Education and Educational/Assistive Technology at the European University Cyprus. She holds a PhD in the area of Technology and Inclusive Education, (University of Birmingham), an M.Ed in Special Needs and Development (University of Manchester) and a B.Ed in Primary Education (University of Cyprus), as well as a professional certificate in Assistive Technology (AT) (CSUN). She worked as a special primary education teacher and as an AT Coordinator at the Ministry of Education and Culture. Her research interests focus on design of inclusive learning environments and the implementation of AT, ICT and accessibility. Dr. Katzis is currently employed as an Assistant Professor of Computer Science & Engineering at European University Cyprus. His research interests include: attractiveness of engineering education through active involvement of industry in higher education engineering degrees and enhancement of the engineering education experience of the students throughout their studies. Dr Katzis participated in the EUropean and Global ENgineering Education (EUGENE) academic network – Line E (Increase attractiveness of EHEA: towards an ERASMUS Mundus Network in EE). Currently he is involved with the Building Network of Remote Labs for strengthening university-secondary vocational schools collaboration (NERELA) project which its wider objective is to increase attractiveness of engineering education through innovative teaching methods as well as through the strengthening of university- secondary vocational schools collaboration. His research also concentrates in the field of Wireless Communications such as radio resource management, including cognitive radio, fairness in Quality of Service, dynamic spectrum sharing and coexistence. Dr. Georgios Stylianou is currently employed as an Assistant Professor of Computer Science & Engineering at the European University Cyprus. His research interests include 3D Modeling, Visualization, Software engineering and mobile phone applications. He has worked in several research projects as a principal investigator that involve the development of novel modeling, visualization and vision techniques. 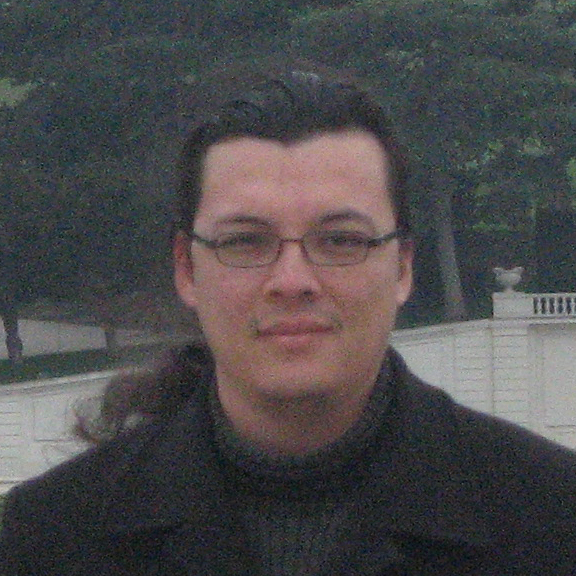 Andreas Grondoudis is an Assistant Professor of Computer Science in the DCSE of EUC. Andreas has a strong software development background with experience in bespoke software solution implementations using industry standard technologies and tools. Before coming to Cyprus he worked as a senior developer for an IT company in Sheffield, UK. His original research work was based on the specification technology known as x-machines. In addition to software engineering; his interests and area(s) of knowledge span from system specification, programming and database design to communications, networking and networking security to formal description techniques, formal methods and their utilization for the development process of communication network protocols. Georgios Christou was born in 1975 in Cyprus. In 1999 he received a BS in Cognitive Science and Computer Science from Carnegie Mellon University. In 2001 and 2007 he received a MS and a Ph.D. respectively, in Computer Science, from Tufts University. His research interests include the evaluation of new ways of interaction, such as virtual reality, ubiquitous computing, tangible user interfaces, etc. His research involves finding measures that not only evaluate these new interaction styles, but that also allow comparisons between them. A secondary research interest is the social value of technology, and its translation into wants and needs. Georgios has authored chapters in books, has published articles in academic journals and conferences, and has organized and presented at scientific conferences and workshops. He is currently a lecturer at European University Cyprus. Pericles Leng Cheng has been an instructor at the European University Cyprus since the Fall semester of 2003. He has taught various core courses such as Database Management Systems, Operating Systems and Operating System and Network Laboratories. He received his Bachelor of Science in Computer Science degree in 2001 and in 2003 his Master of Science in Computer Science degree both from the University of Texas at Austin. He then received his Doctor of Information Technology degree from Walden University in 2017. In 2009, Dr. Cheng became a CISCO Certified Academy Instructor and has been teaching CISCO certification courses for Computer Engineering students. In 2010, Dr Cheng was involved in a University-lead project to build a blended learning laboratory and incorporate blended learning in the university courses by training other instructors in using the Moodle e-learning platform and how to create blended courses. Dr. Cheng’s areas of interest include robotics, databases, network, e-learning as well as embedded programming. Ms. Christina Varnava Vasou received her Bachelor of Science degree in Computer Science in 2011 which marked the beginning of her ICT teaching career. With respect to her interests towards education she pursued a more pedagogical direction which lead her to the successful attainment of her Master of Arts titled Technologies of Learning and Communication combining her science background with an educational perspective both from the European University Cyprus. Ms Vasou is currently studying for her PhD focusing on educational robotics for primary students, used as an innovative prospective tool for the enhancement of STEM education. Her researched areas of interest revolve around educational technologies, educational robotics, mobile learning and coding for young students. Ms Vasou is currently working as a Research Assistant at the European University Cyprus. Amongst her occupations she has additionally been active as a school consultant in various issues involving incorporating ICT in STEM subjects with emphasis on mobile devices, gaming platforms, educational robotics technologies and many more. Ms Vasou is also the co-ordinator of the “Educational Technologies” Special Interest Group of the Cyprus Pedagogical Association. She is a member of the ICT – Enhanced Education Laboratory (ICTEE) since September 2015. 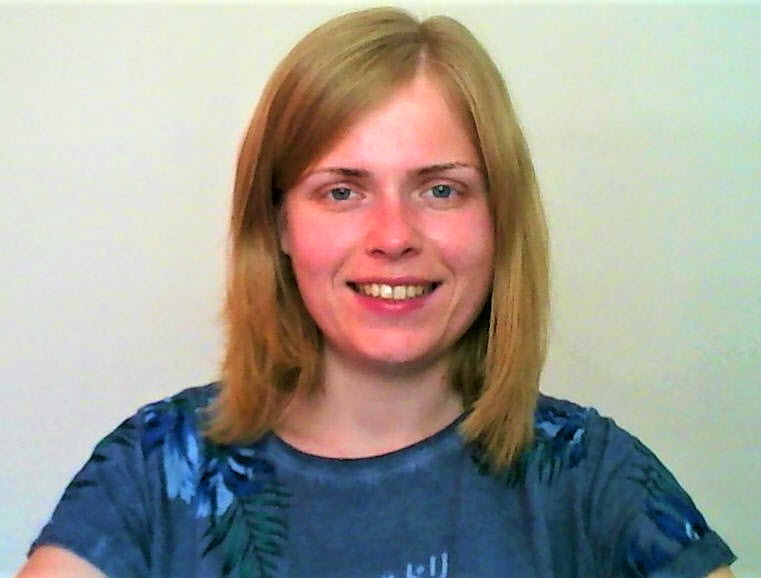 Ms. Lasica Ilona-Elefteryja is a PhD Candidate at the European University Cyprus. She received her BSc. in “Digital Systems” (2010) and a M.Sc. in “Technology Education and Digital Systems” (Track: e-Learning) (2012) from the Department of Digital Systems University of Piraeus, Greece. Her research interests focus on Technology Enhanced Learning and Training, Innovation in STEM Education, Vocational Training and Lifelong Learning. During the past six years, Ms Lasica has been involved in more than ten EU funded research projects. Her research accomplishments include a number of articles and papers in international conferences and academic journals. She is a member of the ICT – Enhanced Education Laboratory (ICTEE) since March 2016. Andreas Efstathiou is Professor of Science and Mathematics and Deputy Dean of the School of Sciences at European University Cyprus. He is interested in developing computer models for the emission of almost every type of galaxy and especially those that emit most of their power in the infrared part of the electromagnetic spectrum. He played a leading role in the analysis of data from the European Large Area ISO survey (ELAIS) which was led by Imperial College, London and involved more than 20 other European Institutes. He also participated in extragalactic surveys with the Spitzer space telescope, the Herschel space telescope and the SCUBA instrument which discovered a new population of galaxies at high redshift (submillimetre galaxies) which are believed to be the progenitors of massive local galaxies. Despina A. Stylianou is an Associate Professor of Mathematics Education at the City College of the City University of New York. Her research interests lie in the area of mathematical cognition; her work explores the mathematical skills, sensibilities, and habits of mind and action that are critical to doing, learning, and using mathematics proficiently. 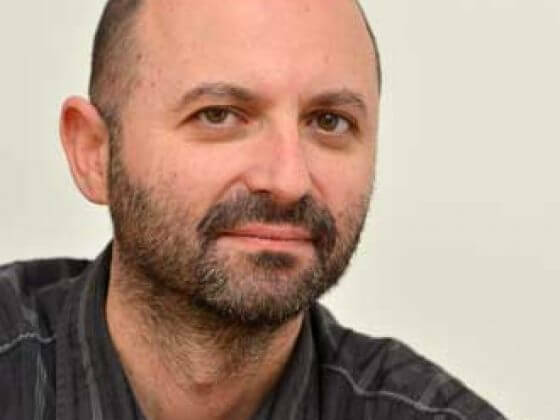 Dani Ben-Zvi is a senior lecturer at the University of Haifa, Israel in the Faculty of Education, Head of the Innovative Technologies in Education Graduate Department, and member of the Mathematics Education Graduate Department. His prime research interests draw upon two central aspects of human life: Statistical thinking and technology. He is a leading international scholar on statistical thinking and on students’ learning with technological tools.